A Jet Airways flight with 161 people on board veered off the runway at Dabolim airport in Goa while aligning for take off to Mumbai early today, with 15 passengers suffering “minor” injuries during evacuation. The incident took place at around 5 AM. 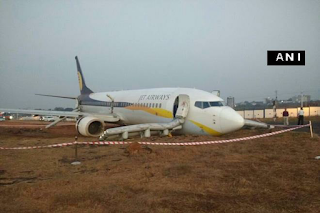 Flight 9W 2374 which had arrived from Dubai and was bound for Mumbai, was about to take off when it skidded off the runway. The incident took place at around 5 AM. 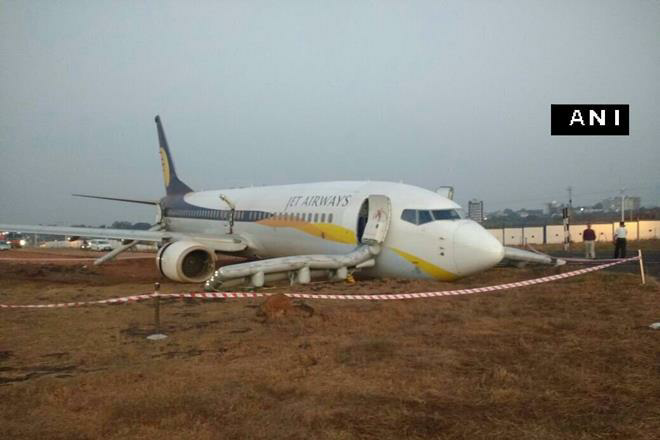 Flight 9W 2374 which had arrived from Dubai and was bound for Mumbai, was about to take off when it skidded off the runway. When the evacuation was on, the aircraft tilted forward, an eyewitness said, triggering panic among passengers. An Indian Navy spokesperson tweeted that the runway had been made operational after the incident. 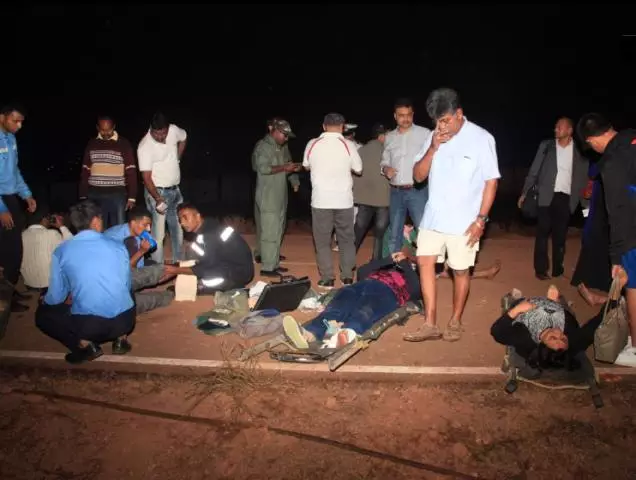 The Aircraft Accident Investigation Bureau (AAIB) and the Directorate General of Civil Aviation (DGCA) would jointly investigate the incident. When the evacuation was on, the aircraft tilted forward, an eyewitness said, triggering panic among passengers. Navy sources said 15 people suffered “minor injuries and fractures” in the process.